SAI Global is recognised by Gartner as a leader in compliance and risk. The business is focused on helping companies transform the way they manage, approach and leverage risk. Their solutions and team of experts provide advice ensuring companies have the information they need to make the decisions required to protect and grow their businesses and their reputation. SAI Global has a presence all around the world, with locations in Europe, the Middle East, Africa, the Americas, Asia and the Pacific. Versent worked with SAI global to address several challenges. The first was to deliver anMVP (minimum viable product) Cloud environment built with automation that would support the migration of non-production and customer support workloads. This would enable SAI Global to leverage AWS elasticity with scale on-demand capabilities and reduce on premises datacentre workload footprint. The second challenge was to support the sales strategy around establishing a larger hosted customer base in Europe. Aggressive timeframes, approach and demand from sales and product strategy required a scalable solution not suited to existing regional hosting capability. As a company well versed in risk, SAI did not want to introduce risk or compliance issues when moving to AWS. 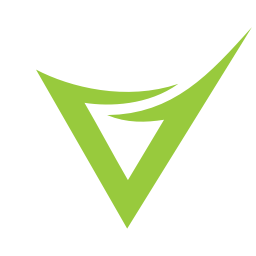 Versent worked collaboratively with the SAI Global internal infrastructure and applications teams to design the foundational elements of the AWS platform, integrated into a global hybrid cloud environment, featuring a pipeline-based solution to deploy infrastructure-as-code on AWS to meet the customer’s workload requirements. Versent brought extensive experience with AWS and DevOps practices in an elastic environment to build out a solution to allow applications to be deployed globally and to manage the complexities of integrating with an existing environment. Versent built and tested a cloud hosting MVP platform to enable SAI to deploy their workloads into AWS, while supporting the development, test, production, and support environments SAI required. SAI wanted the ability to reduce on-premises footprint while providing an elastic hosting environment to meet varied demand based on business and customer cadence. The first workload migrated was the EHS Manager 360 application, a Windows-based, in-house developed, application backed by Microsoft SQL Server. The solution would need to be repeatable so that it could be deployed globally to meet the needs of its users. Implementing the workload’s multi tier architecture on AWS enabled Versent to leverage a wide variety of AWS services. Amazon Machine Images were baked and shared globally to give a consistent and compliant operating environment for application and operational systems. Autoscaling and load balancers were used to improve workload resilience and enable seamless failover between instances. RDS was used to run Microsoft SQL Server and reduce administrative overhead and improve availability. The entire solution was integrated with SAI Global’s ActiveDirectory via AWS Directory Service, to allow centralised authentication and access control for systems management. In keeping with existing company standards, TrendMicro was deployed as the antivirus solution for the hosts required by the platform. Jenkins was used to provide a graphical interface to manage and execute pipelines, both manually and via automatic triggers. Powershell was used extensively to automate Windows and Active Directory related functionality. Delivered successfully, SAI was able to leverage the platform code base and stack patterns to deploy into Europe. Leveraging AWS, SAI could now support and streamline their sales processes across multiple regions. This enabled a faster go to market strategy for the business. With a focus on automation first, SAI was able to ensure the AWS hosting platform was compatible with the application teams’ existing workflows and processes, while providing the required risk controls, security, and auditing components. “We can provision a fully functional hosting environment into new AWS regions very quickly, along with deliver and monitor our platform so much faster thanks to the high level of automation that Versent has delivered,” said Adam Barlow, General Manager – Infrastructure and Cloud Services APAC, SAI Global. · Autoscaling for elastic compute management. · Route53 for public and privateDNS. · AWS Directory Service forActive Directory. · RDS for Microsoft SQL and other databases. · KMS for encryption services. · CloudTrail for security auditing and oversight. By choosing AWS as their platform, SAI Global has been able to quickly deploy and support their applications globally. Working with Versent, SAI Global has been able to take advantage of the AWS infrastructure-as-code services to make their applications consistent, no matter where they are deployed in the world. By using services in specific regions around the world, they give their customers better performance and maintain regulatory compliance in the United States, Europe and Asia Pacific. SAI Global has also made the most of pay-as-you-go approach to compute. They are able to turn off application environments when not in use to reduce their costs. Using services like RDS to run Microsoft SQL Server and Autoscaling for their application workloads have given their services improved resiliency and availability, while integrating with their existing applications. As part of their on-going cost management and optimisation, SAI Global use Stax (www.stax.io) to visualise and report their AWS usage. This allows them to be aware of their global consumption, and proactively control it. “By using the automation capabilities in AWS, our operations team can test and scale easily, at the same time improving the consistency of our environments, making support and troubleshooting easier,” concluded Barlow. Experience consumption, convergence and capacity with Versent’s Cloud services; designed specifically to increase your organisational agility, flexibility and competitive advantage. Our methodology of discipline, automation and transformation is consistently applied, ensuring you are set up to receive all the benefits of a hosted cloud solution.